Pacific Island Air is taking another step in its development in a bid to grow the company. It will soon begin planning construction of a new hangar at the Nadi International Airport where the company is headquartered. General Manager, Tuni Beddoes, said the company has already invested a lot into new planes, better engineering systems, extra staff and training systems. “Our further investment plans for 2015 is to build a brand new hangar,” he said. Pacific Island Air will not only undergo this construction but the company will be investing towards the growth of the company. Some other projects include the extending of office space, further staff training and introduction of new equipment. Since the entry of the new owners, Pacific Island Air has made it its mission to deliver the best service possible. In the past two years, it introduced new helicopters to mix with the existing seaplanes and airplanes. Mr Beddoes stated: “We are now in a situation where we can offer world class experiences and services. Pacific Island Air believes the company’s growth is through the boom in the tourism industry which continues to grow. “The industry needs to work together as a cohesive unit to take it to the next level,” Mr Beddoes said. 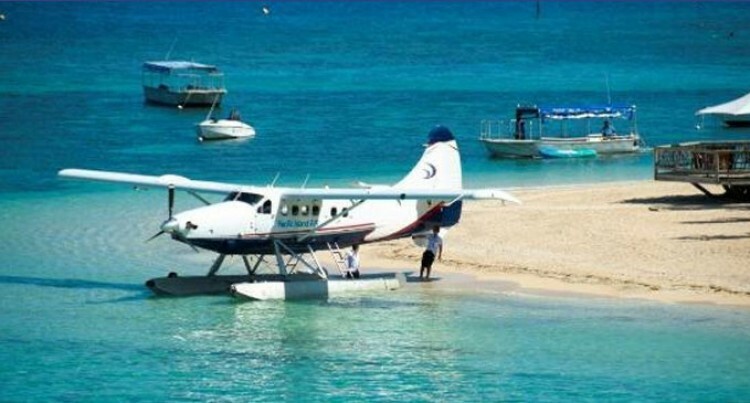 Currently Pacific Island Air has diversified its operation to Port Denarau by offering departures from a floating pontoon within the waterways of Port Denarau area. The initiative also supports movement of rotary aircraft on Super Yacht’s, resort transfers and medevac services required from the Port.